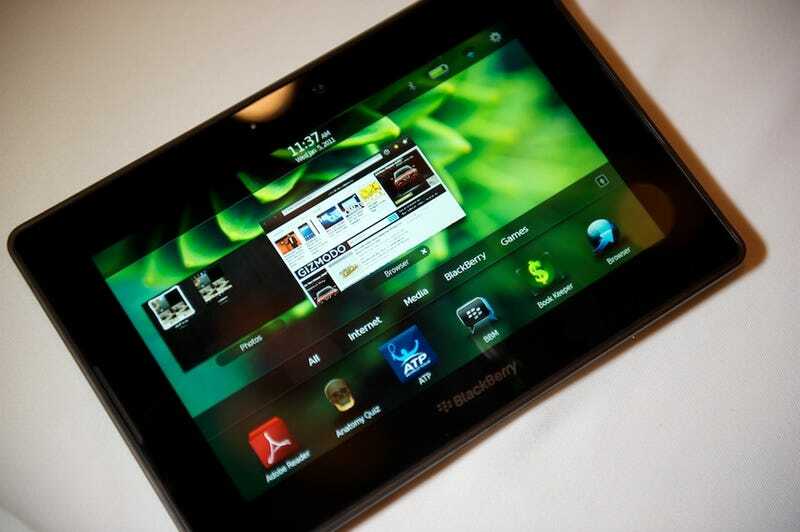 RIM is killing the option to sideload apps in a future build of the PlayBook OS in an attempt to curb piracy. This means that they'll have to be added directly through BlackBerry App World, similar to Apple's M.O. with the App Store. This is bad news if you own a PlayBook, because it's a huge roadblock for new apps on a platform where the offerings are already painfully sparse, lacking official apps for popular services like Yelp, Tumblr, Spotify, Kindle, Twitter, and so forth. Though it would give RIM a more secure lock on the OS, it will certainly hinder development by closing a vital entryway. The announcement came from RIM's VP of developer relations Alec Saunders who said on Twitter the company doesn't want to recreate the "chaotic cesspool" the has plagued the Android Market, though he failed to cite any statistics or concrete facts about the problems he alludes to. He said he's "pretty sure" they'll have a "solution for devs," but the lack of sideloading support means it's going to be much more difficult for new apps to come to the PlayBook.